Matthew P. Haag has been named the Vice President of Development and Alumni Relations for the Geisel School of Medicine at Dartmouth and Dartmouth-Hitchcock Health. Haag, who previously served as the Associate Vice President of Clinical, Research and Academic Development for the University of Rochester, University of Rochester Medical Center (URMC), in Rochester, NY, was selected after a national search. He begins his new role on September 10th. “We believe Matthew’s experience in advancement and development in both academic and medical settings will be an asset to our campaign,” said Barbara Couch, Chair of the Search Committee. As the new Vice President, Haag will report to and closely partner Joanne M. Conroy, MD, CEO and President of Dartmouth-Hitchcock Health System, Duane Compton, PhD, Dean of the Geisel School of Medicine, and Robert W. Lasher D ’88, Senior Vice President for Advancement at Dartmouth College. “Matt brings a great deal of experience and proven success in academic medical center fundraising and I am excited to have him join our team at this important time to lead Geisel’s Interaction fundraising campaign,” said Compton. In this role, Haag will be responsible for providing philanthropic support for Dartmouth-Hitchcock Health and Geisel to help advance patient care, medical education and research, as well as the creation of a national model for how to accelerate scientific discovery and transform health care both in the US and internationally. In April, Geisel launched Interaction, a $250 million fundraising campaign as part of Dartmouth’s institution-wide campaign. Haag brings more than 20 years of successful annual, major and planned gift experience to this new role, as well as a background in event, alumni relations management, and foundation and corporate engagement. In his role as the Associate Vice President at the University of Rochester, URMC, Haag oversaw the fundraising and alumni relations programs for three academic programs as well as the fundraising for the clinical and research efforts. In 2017, through a focus on annual, major, leadership and principal gifts he led a fundraising team that raised approximately $40 million in commitments and $37 million in cash. In addition, he was a member of the University of Rochester Medical Center Executive team, which oversaw the Medical Center advancement efforts including fundraising, patient and family engagement, alumni relations, communications and management. He also worked closely with senior leadership in the Medical Center to help develop overall Advancement strategies. Prior to joining URMC in 2015, Haag served in a number of roles at the University of Rochester. From 2007 to 2011, he served as the Senior Director of Major Gifts and Regional Programs responsible for building a university-wide office of major gifts and regional programs to assist the University’s national outreach to alumni, parents and friends. As the Assistant Vice President of University Advancement, from 2011 to 2014, he managed a team of 85 that ran the first comprehensive capital campaign in more than 80 years, and in FY14 raised approximately $31 million of a $1.2 billion campaign. He was also the Associate Vice President of Institutional Initiatives from 2014 to 2015, where he implemented advancement-wide strategies to maximize the growth of donor prospects, developed regional strategies for Advancement including international initiatives and served as the senior leader for fundraising for Major and Leadership Gifts, and Foundation Relations and Business Engagement. 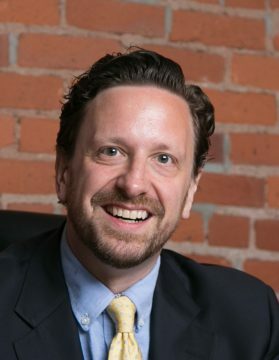 Prior to his roles at University of Rochester and URMC, Haag spent eight years in development and alumni relations roles at The John Hopkins University, Baltimore, MD. Haag holds a Bachelors of Arts, History and Classical Studies from Gettysburg College, Gettysburg, PA. He plays an active role in a number of boards and civic committees, including as a member of the board of trustees for Rochester Historical Society, the New York State Procurement Council, Equality NY, a member of the Technology Commercialization Affiliates Committee and has served as a member of the Monroe County Board of Health. Founded in 1797, the GEISEL SCHOOL OF MEDICINE AT DARTMOUTHstrives to improve the lives of the communities it serves through excellence in learning, discovery, and healing. The Geisel School of Medicine is renowned for its leadership in medical education, health care policy and delivery science, biomedical research, global health, and in creating innovations that improve lives worldwide. As one of America’s leading medical schools, Dartmouth’s Geisel School of Medicine is committed to training new generations of diverse leaders who will help solve our most vexing challenges in health care. DARTMOUTH-HITCHCOCK(D-H) is a nonprofit academic health system serving communities in northern New England. D-H provides access to more than 1,000 primary care doctors and specialists in almost every area of medicine at Dartmouth-Hitchcock Medical Center; the Norris Cotton Cancer Center, the Children’s Hospital at Dartmouth-Hitchcock, four affiliate hospitals, 24 ambulatory clinics and through the Visiting Nurse and Hospice for VT and NH. The D-H system trains nearly 400 residents and fellows annually, and performs world-class research, in partnership with the Geisel School of Medicine at Dartmouthand the White River Junction VA Medical Center.